Runners are a dedicated, passionate group. Often, they dedicate hours to running, working through the pain because they love to run so much. Over time, though, the pain can build. Additionally, every step you make has an impact on your body. Every time you go out and run, you press into the cement. The pressure of these steps goes through your feet, into your knees, hips, back, even into your neck.​ A runner’s pain can destroy their ability to run and has a great effect on their lives. 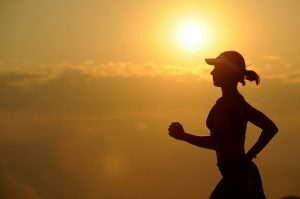 What can a runner do? Over time this causes your body’s fascial system to tighten and restrict. The gel-like fluid becomes hardened. Therefore, your steps become shorter, your range of motion decreases, and you start to feel pain. A runner’s pain increases the more you run. The only way to address this is a full body approach. By addressing the fascial system, you can return the solidified system back to a gel-like substance. This can decrease pain, improve range of motion, and can even improve your running time. In conclusion, using myofascial release, you can minimize the time taken away from running, or prevent it all together to get rid of your pain.